Prof. Jürg Grünenfelder, MD is a board certified in Cardiovascular Surgeon (FMH), in Switzerland. He studied medicine at University of Zurich and served as a resident, clinical and research fellow at the Cardio-Vascular Surgery unit at University Hospital Zürich, Cardiac Pathology (Cardiac Registry) at Harvard University Children’s Hospital in Boston, Cardiac Surgery at Massachusetts General Hospital in Boston and in Cardiac Transplantation at Stanford University Medical Center, Palo Alto. 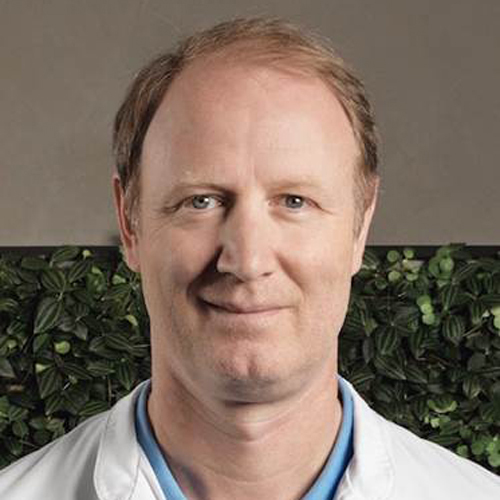 Prof. Grünenfelder has a full Professorship in Cardiovascular Surgery at University of Zurich and was staff member for over ten years in Cardio-Vascular Surgery at the University Hospital in Zürich before founding and becoming the director of the Heart Clinic Zurich at Klinik Hirslanden, Zurich. He specialized in minimally-invasive valve surgery as well as catheter-based valve implantation (TAVI). Prof Grünenfelder is also a member of several medical associations such as the International Society for Minimally Invasive Cardiac Surgery (ISMICS) and the European Association of Cardio-Thoracic Surgery (EACTS). Prof. Grünenfelder is the President of the Medical Advisory Board of SMC – Swiss Medical Concierge.